The first time you hear someone say something like this, it might leave you a little puzzled and maybe even speechless – but over time you will have to admit that this statement is actually the hard-boiled truth. Our parents and their generation are probably already more realistic about the consequences of aging. One thing is for sure: We all get older. And for some of us, someday there will be the moment in our life, when we will become dependent on the help of others for things we easily managed to do on our own in the past. Sounds like a joke? It is not. Are you (financially) prepared for your parents getting old and maybe needing daily care and/or nursing? Some of us only realize that they will be responsible for their parents at the very moment their parents need to be moved to a nursing home. Because according to the German law, children are financially responsible for their parents’ welfare. This is a fact that many of us either do not know or do not acknowledge, but, if it becomes your reality, it might have a significant impact on your own financial situation and future. In our modern society, we tend to not talk about negative incidents which might happen to our parents, to us or even to our children. Of course it feels far more comfortable to believe ourselves to be safe and secured by a system of benefits, which is – in our minds – still provided by a strong social economy. But times have changed and so has our economy. The situation for older people (who are taking up a much higher percentage of our society than in former times) is more and more worrying. Old-age poverty is on the rise due to a list of facts like higher costs of living, inflation, low key interest rates and small pensions. One can even say that a gradual expropriation is taking place. On the other hand, our German health care and benefits system is on the downfall. Believing you do not have take action yourself when it comes to future nursing needs in old age, is truly an outdated belief. CostsDo you know what you will have to pay? Let’s talk about money. Do you have a realistic idea of how much professional nursing actually costs? A quite shocking fact upfront: Even if you consider yourself to be at the prime of your (business) life, you will probably struggle to pay those bills. Now imagine, your parents will become needy of assistance, something most of us can not provide ourselves – and they haven’t taken the right precautions or do not have the financial reserves, then their health condition might become a serious financial matter for you as their child. A situation which we all do not wish for, but which could really interfere with your own plans for the future, something that will shatter your dreams. Imagine your parents are about 78 years old, and one of them is becoming so severely needy of assistance that he or she has to be moved to a professional nursing residency. Let’s also assume that the pension office will cover roughly 50 % of the expenses. Then this means that the other 50 % still have to be paid by your parents. On average the monthly costs for a nursing residency will be 4.200€/month. Of course these costs vary a little due to where you live and the characteristics of the nursing home. If you want to find out more about costs, go to the AOK Pflegenavigator to check options and prices in your parents’ hometown area. So far so good. Let’s further imagine that your parents managed to save about 100.000 €. Assuming your parents use that money EXCLUSIVELY to cover the monthly costs of the nursing residency, they will be able to pay the bills for exactly 47 months, which is not even 4 years. So what will happen after these 4 years? What will happen, if your other parent will become invalid, too? You can probably guess it by now: you as their child will need to foot the bill. To put it in numbers: you will have to pay the other 50 %, in our example this means 2.100 € every month. In our example above your parents could afford the costs almost on their own for a certain period of time. But this example is also based on a quite optimistic scenario and a nursing home that can be considered on the bottom line of costs and equipment. All other expenses are not taken into account. Even something like a little treat or an ice-cream cube might then become a real luxury. And let’s face it: Who of our parents is fortunate enough to still have 100.000 € on their savings account and/or a monthly pension of about 2.000 € at the age of 78 or above? By law children will be slapped with the bill no matter what. Even if you do not have any contact with your parents, this does not affect your liability. Now you might say: “Thank god, my parents already got a nursing care insurance”. Yet, this fact might not make you safe and sound. How can you be sure that this insurance will actually cover the assumed 2.100 € and is true for the classified nursing grade of your parent? Ironically this insurance might even backfire on you. Because if, for instance, it only covers 900 € a month, than this will be used to reduce the payments of the state support, but not the beneficiary. So in the end, who do you think needs to pay the rest of the bills? Exactly: it will be YOU! As our client we really want you to have a closer look at your own situation and what you might have to expect for the future. Take this topic serious and don’t put it off until it’s too late. Make an appointment with us and we can not only do the correct calculation for you, but also check whether or not your parents’ precautions (i.e. insurances) are sufficient or might (unintentionally) get you in trouble in the end. And as stated above, our example above is based on a very optimistic scenario, not taking any other costs into account. If you have children, then take this advice serious as well. Learn what precautions you can take for them. Because they will most probably be facing even a much harder situation than we are at the moment. 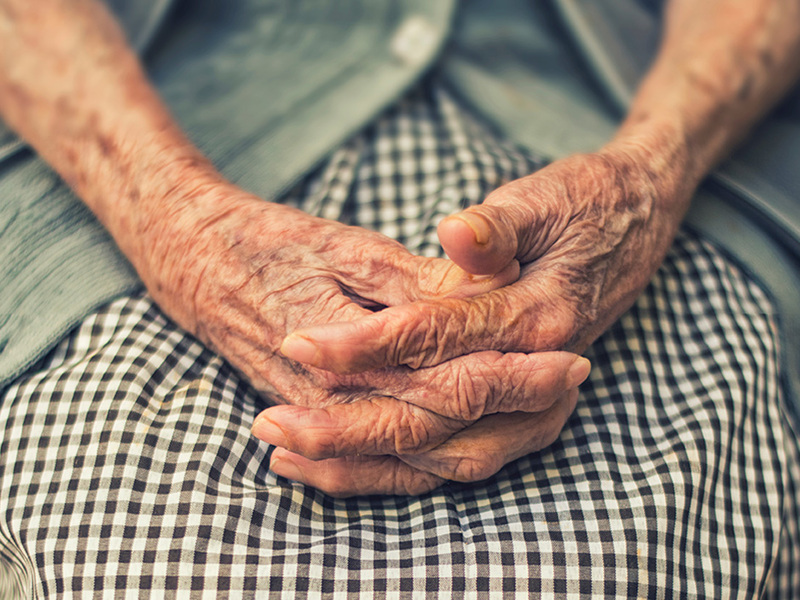 We are aware that nursing and care in old age is a very sensitive topic that you might struggle to address within your family. On top of our calculations and know-how, we can help you with this issue as well. Don’t be shy to ask for help! You would like to get more individual information and support? Just get in contact with us, Sarah Blömer is happy to help you find answers to your questions. Can you live of 1.800 € “Restbetrag” ? The state has put a limit to how much you have to pay in case you become liable for the nursing costs of your parents. It allows a budget of 1.800 € a month for a single household and 3.240 € month for a family to live off. Sure, it is possible to support a living with this amount of money. And luckily your own pension plan and life insurances are not affected by your liability for your parents. But you probably will not be able to follow your own goals and dreams for the future. Take the first steps to find out for certain and contact us for an individual check-up!